Complement your celebration with our private event catering, featuring a selection of oysters, a professional shucker, ice, lemons, dips, sauces and more. 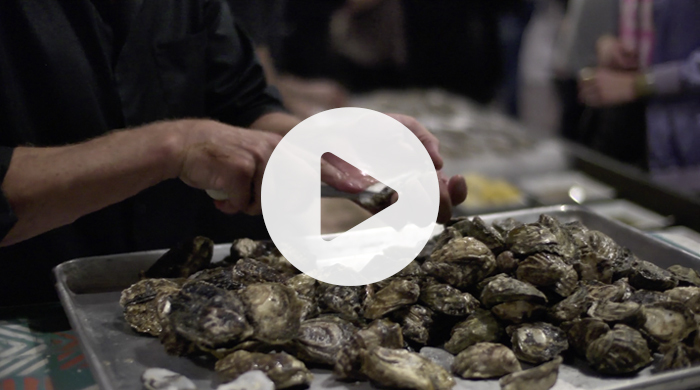 Not only will you indulge in the freshest shellfish around but we will share with you a wealth of knowledge from our farms, the flavor profiles of our oysters and the science behind our sauces. Our aim is to bring you a truly unique and personalized experience. "Everything was amazing Mark-thank you!!!! The oysters were sensational and those sauces-WOW!!!!! Loved every bite. Thank you for being there for our celebration and I look forward to using you guys again soon for something!!! Any excuse for oysters :)"